Hopefully this will become a Christmas tradition here in the DeKeyser home. 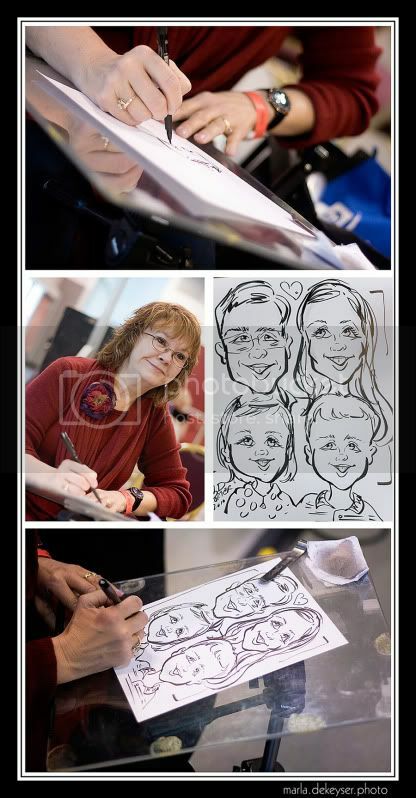 We attended my company's Holiday party and were drawn by a caricature artist. (to see our picture last year, go here). I'm amazed that ANYONE can get my munchkins to sit still long enough to draw a likeness of them. Oh, I love this. And by love, I mean LOVE! What a fun thing for us to always have!